Review – The Fight For Them by R.J. Nicolson – 3.5 Stars!!! When tragedy strikes, Cole and Cassidy must find the strength to fight once again. Its not only their lives at risk, its those of two very precious hearts that need them now more than ever. This novella is a follow on from The Fight to Remember; we join Cassidy and Cole a few years on from where their story ended. They should be living their happy ever after and if this story teaches us anything, its that life when you least expect will throw in a curve ball that will test your strength and your fight to survive. This book brought out a few emotions for me; I found myself in shock and feeling a heart full of sadness and loss. As the story progressed I found myself feeling frustrated and thoroughly angry with one character, who yet again had shown how evil and conniving they could be. Then my heart swelled with love and pride for the two people who show us that by fighting together and for the same thing, you can win and you can survive. My only discontent with this story was the depth; I wanted more explanation to the story, more depth to some of the newer characters that got introduced and more behind how decisions and circumstances had come to be. With this said the story is a novella and therefore more depth would have taken this story into a novel category rather than a novella. This is my own personal preference and nothing against the author. 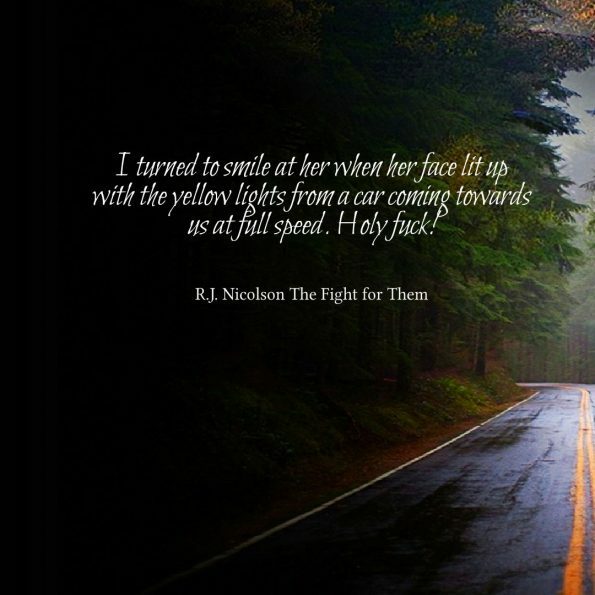 R.J. Nicolson has delivered a story that is intriguing and regardless of any frustrations with characters or absence of depth to the storyline, the author still has you reading on to discover how the story will end and routing for Cole and Cassidy to win. You do need to have read The Fight to Remember before reading this novella. I recommend this series for readers who enjoy military romances.